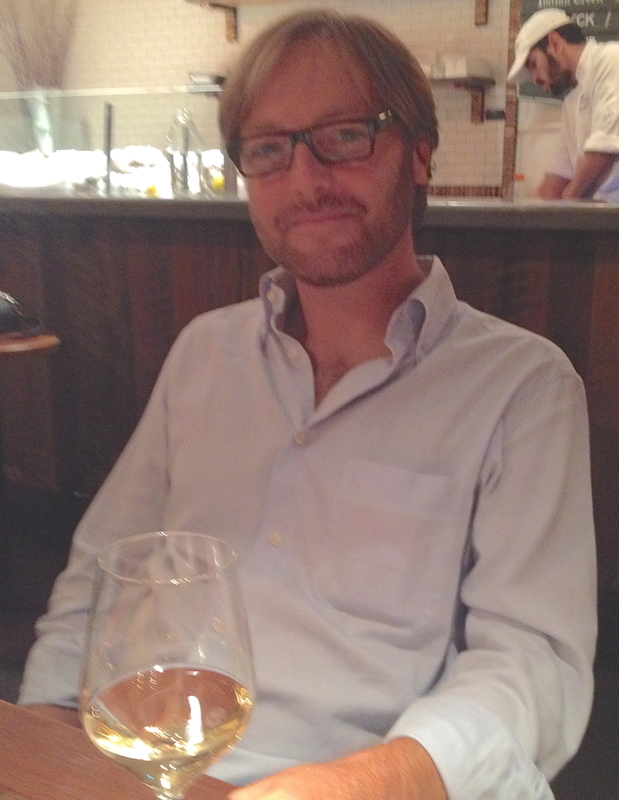 Giovanni Ponchia hosted a tasting of Soave wines at a restaurant in NYC. I could not make it on the appointed day but had the good fortune to be able to sit down and talk with him and taste wine the night before. 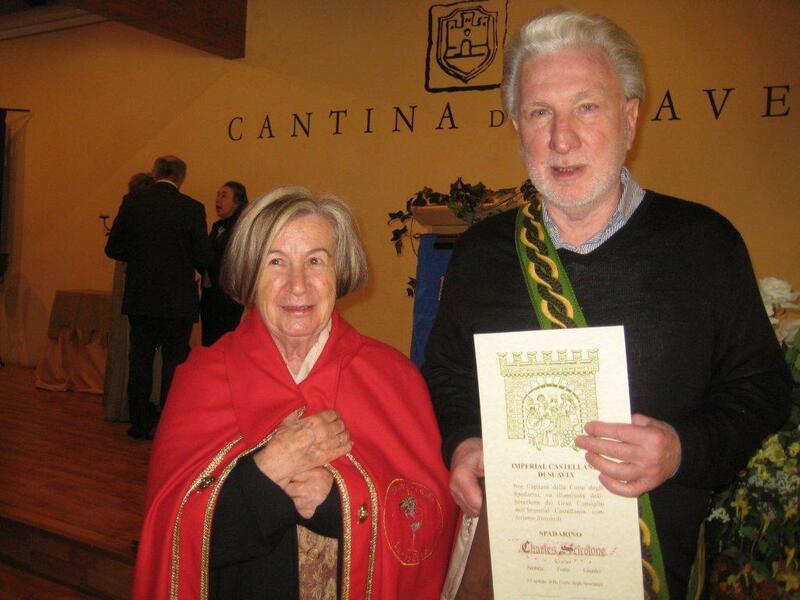 I first met Giovanni a few years ago when I was invited on a press trip to the Soave region and was honored as Capitano Spadarino, Defender of the Castle of Soave and the Women of the Castle, and for my contributions to Soave. 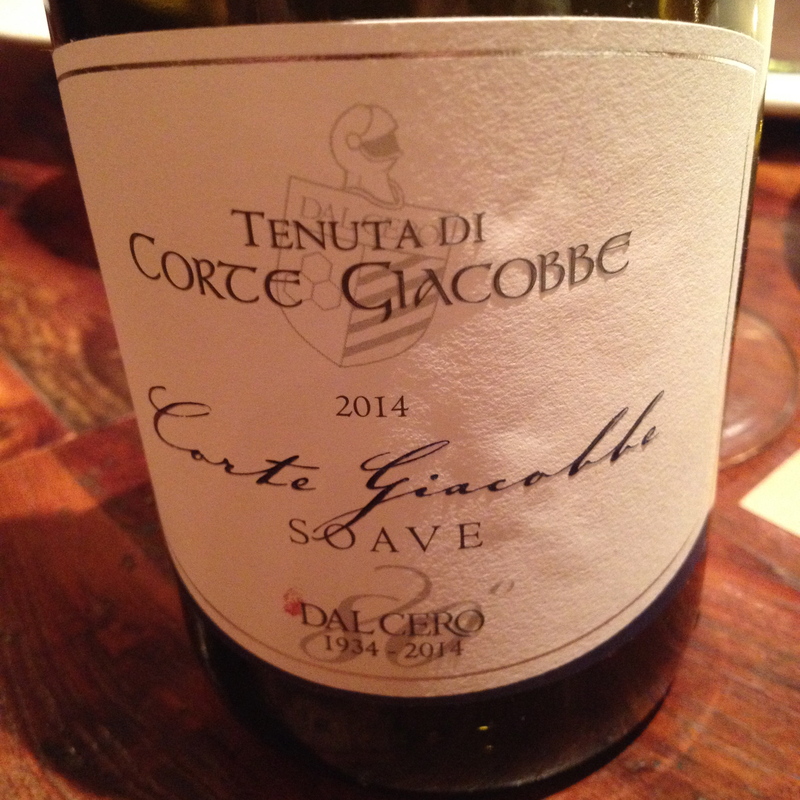 Giovanini brought me up to date on what is happening in Soave. The Soave production zone lies in the eastern part of the Province of Verona in the region of the Veneto. The production zone is of volcanic origin and the hills where the vineyards are planted have rocky strata that are a result of lava flows that turned into sediment over time. The soil is dark, stony and rich in minerals. There is a difference between the soil of the hills and the soil of the flat lands. The soil does make a difference. 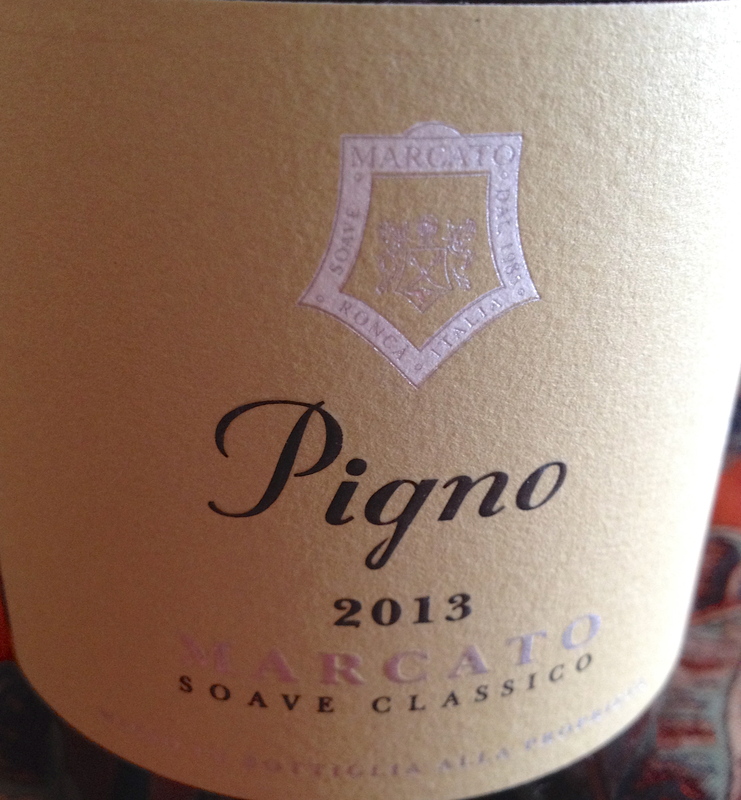 Soave is one of Italy’s great terroir- based wines. 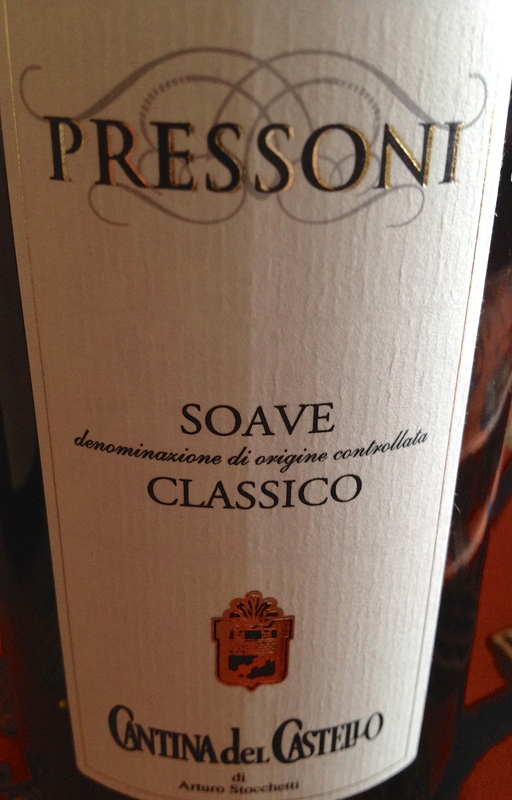 Soave is a relatively small concentrated area and it has a history of selling grapes outside of the region. There are some 3,000 growers and the DOC is the largest in the province of Verona accounting for 40% of the production. There are 52 crus in the zone and like Barolo one cru can be worked by different producers. The vineyards are so close together that they all “spray” at the same time. The grapes are the same for Soave DOC, Soave Classico DOC, and Soave Superiore DOCG, Soave DOC, Colli Scaliger, and Recioto di Soave. Garganega is the primary grape and Soave must contain at least 70% of it. The other 30% is made up of Trebbiano di Soave, Chardonnay and Pinot Bianco (Trebbiano Toscano has been excluded). The better producers use 100% Garganega, or very close to it. There does not seem to be much Chardonnay or Pinot Bianco used. Trebbiano di Soave seems to be the new favorite and has traditionally always has been present in the vineyards. It has a tangy liveliness that some wine makers feel blends well with the typical structure and density of the Garganega grape. Giovanni added this is a matter of controversy. Garganega is the fifth most planted white grape in Italy and may be related to the Grecanico grape of Sicily. Many of the wine makers said it is not markedly aromatic in nature, but displays a range of perfumes of which almonds and white flowers are the most clearly identifiable. It does not actually complete its ripening until October. Its skin is very tough and is a particularly deep yellow (verging on red) when ripe. It does not display especially high acidity but rather a balance of extract and fruit sugars. The training system for the vines is very interesting. It can be single or double Espalier Guyot and Cordon Spur) or a Pergola (known as tendone in the South). The vines grow on trellises and the leaves cover and protect the grapes from the sun. It can be a unilateral Pergola, or uni- or bi-lateral pergoletta Veronese- Veronese Pergola. This Pergola does not close all the way in the middle allowing some sunlight to come through. This is the method used on flat land even at high elevation. The Veronese Pergola is again becoming popular among the producers. No matter what the training system, there can be no less than 3,300 vines per hectare. Giovanni said in very hot years they would use the grapes grown under the Pergola for their best wines. In cool years, lacking sun they would use the grapes from the espalier vineyards. Soave wine is split up according to the production regulations between Soave DOC, grapes grown outside the Classical zone, Soave Classico DOC, Soave Superiore DOCG, Recioto di Soave DOCG and Soave Colli Scaligeri DOC, grapes grown in the hills outside the Classical zone.